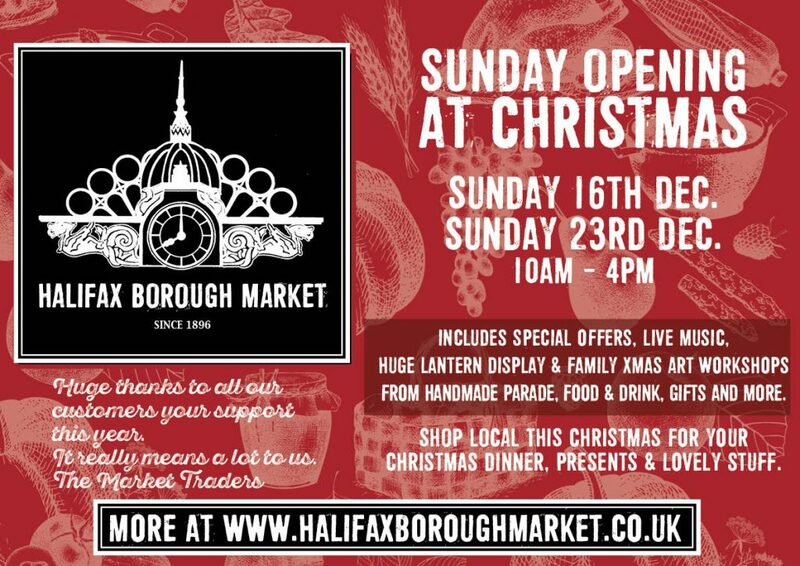 We are pleased to announce that Halifax Borough Market will have additional opening on Sunday 16th December and Sunday 23rd December 10am – 4pm. A warm welcome awaits you lovely people of Calderdale – grab a Christmas bargain, relax with some great food and drink or just spend some time browsing and chatting to our friendly traders – come and explore! There’s lots happening – see other posts regarding the Handmade Parade workshops taking place on 15th and 16th. There will be entertainment over both weekends too and a craft/artisan food market on 22nd and 23rd. It’s all happening in Halifax Borough Market!